My name is Rose, I’m a police nurse in Pattaya for almost 20 years now and I’m also running an elderly care home for 8 years named Nursing Resort Pattaya. Mister Gas (Gerhard Lehn) has been diagnosed with diabetes. Since the first time I met him, he has deep wounds in both feet resulting in dead and rotten flesh. His roommate already brought him to the hospital in Pattaya but when the doctor explained to Mr Gas that the only way was to amputate his feet, this one refused and left. Fearing for the life of his friend, his roommate then contacted me and asked me to take care of his wounds. I’ve accepted and also tried to reach out with his friends and family but it appears Mr Gas is alone and has no relatives. I’m taking care of Mr Gas on a daily basis since January 2016 until now. I’m cleaning his wounds every morning and every evening. 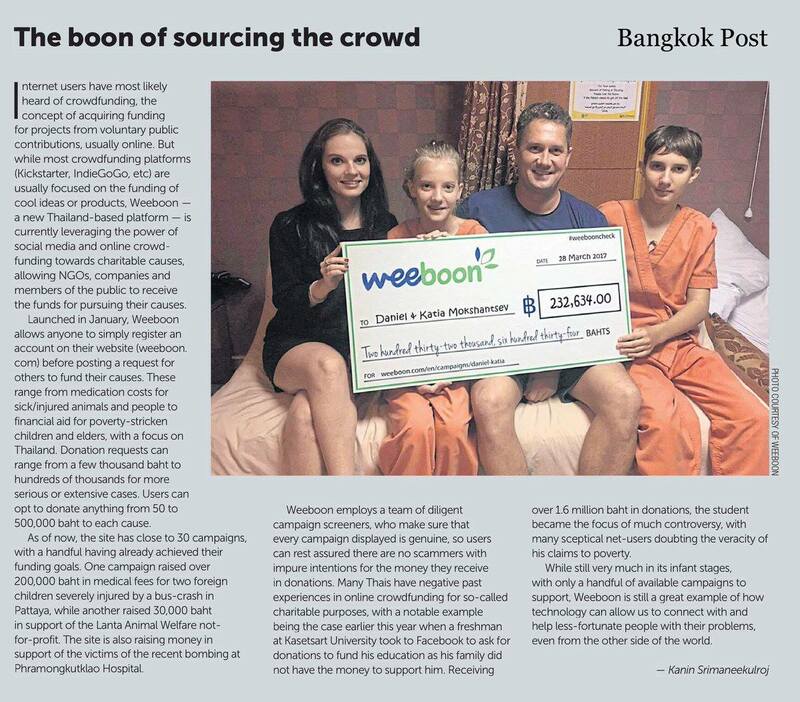 I provide the daily medicine and required equipment at my own cost which already reached 200,000 baht so far. This is the burden I have to bear alone for a long time. Mr Gas’s body is so weak he can’t travel back to Germany. I’ve contacted the German embassy several times but nobody can help him out. I’m just a nurse and I can’t continue to afford all these costs on my own, this is why I’m starting this fundraiser to ask for some support in order to be able to continue to take care of Mr Gas. Get well soon Mr Gas ! Gute Besserung und vielen Dank an die Krankenschwester. Es ist nicht selbstverständlich was sie macht. wenn jeder nur ein bischen spendet führt es hoffentlich zum Ziel. Respect for the Lady! Thank you for your help and may you have wonderful day! Thanks Rose, to help Gerhard. Get him back to Germany, please! They can take care of him and the government will pay for him! Hope you get well Mr Gas good luck!